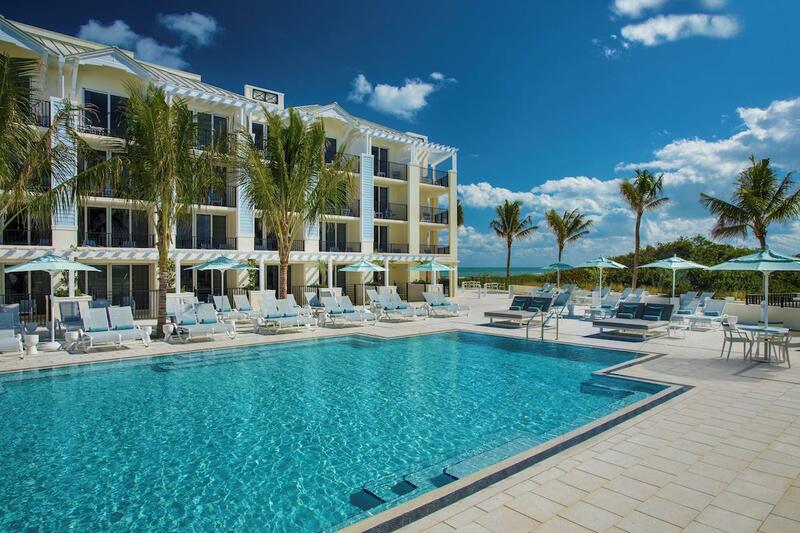 Hutchinson Shores Resort & Spa is coastal chic at its best. 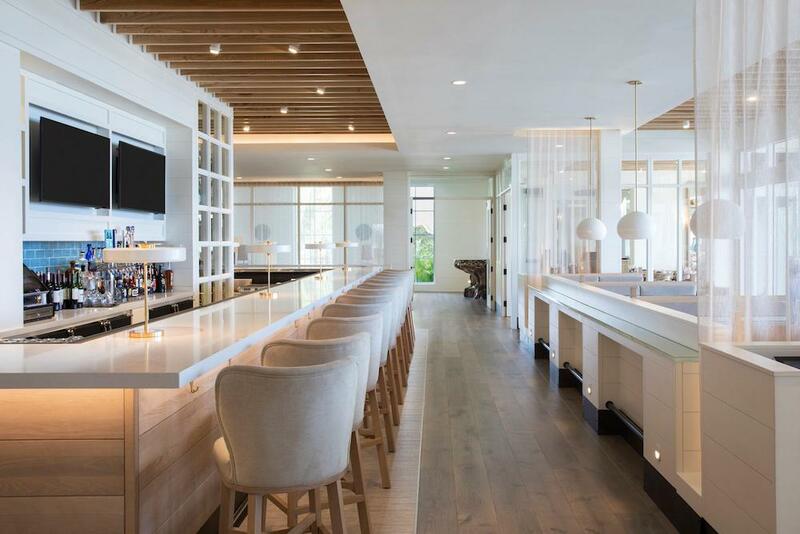 Unencumbered with the stuffiness of some resorts, Hutchinson Island Resort & Spa retains its cutting edge décor and design amidst a truly easygoing atmosphere. 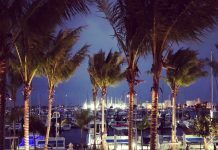 Hutchinson Shores Resort & Spa is an ideal spot for those who are looking to enjoy Florida’s Treasure Coast without crazy crowds. Welcoming to couples and families, Hutchinson Shores is secluded enough to get the desired exclusiveness you may be looking for, but not at the cost of being in the middle of nowhere. Hutchinson Shores is designed en vogue and sharp, but not in an ostentatious way. 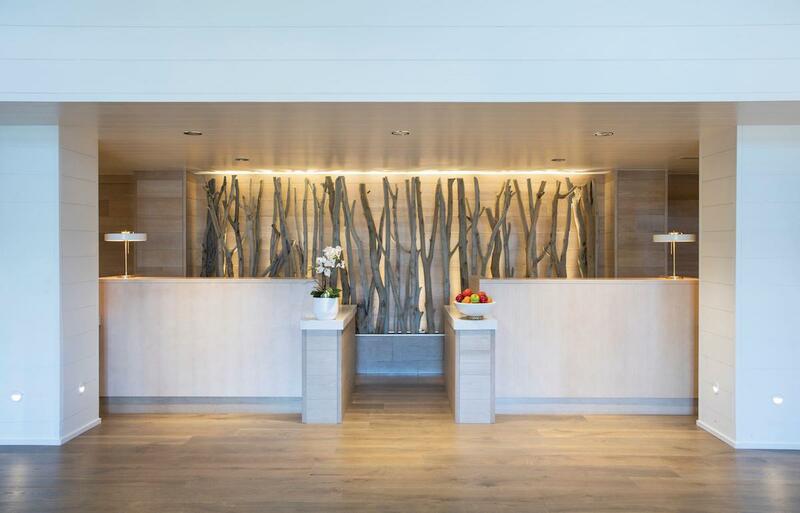 The resort is serene and uncomplicated, and the design effortlessly flows like the ocean outside. The resort has an easy lay out, and you’ll feel at home here. 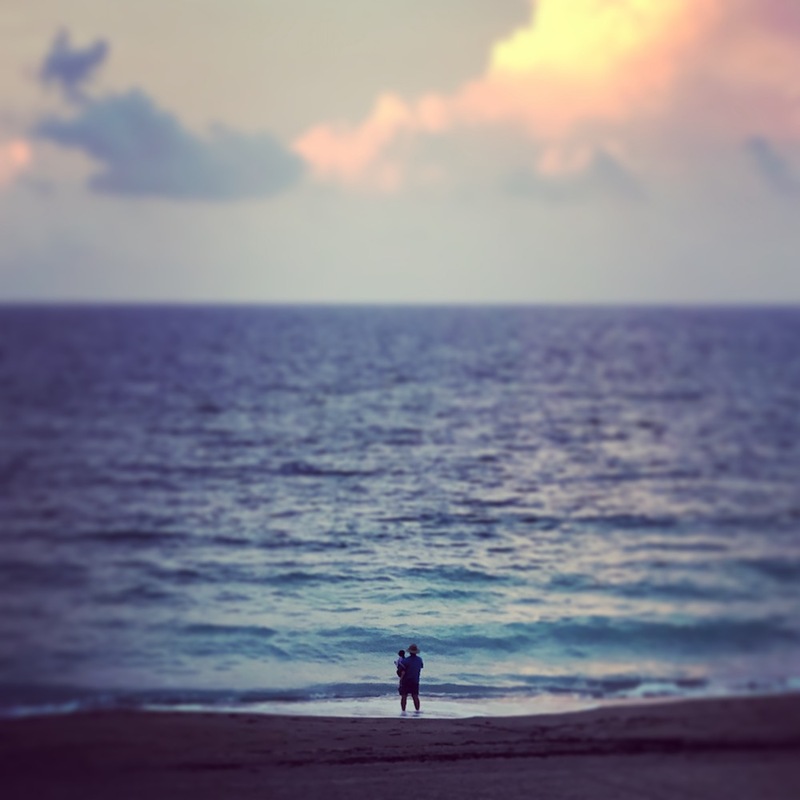 Hutchinson Shores is more secluded than most resorts on the Atlantic. 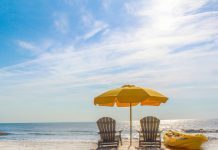 This adds to the exclusivity of the hotel, and you may find yourself walking along the shoreline with only a handful of people, or you may have the Atlantic to yourself. As you walk through the resort, you may notice that the music and lighting changes throughout the day and night. It’s so subtle, but once you notice this detail you’ll see how much of a positive effect it has on your overall feeling. Every small detail of a guest’s experience is considered at Hutchinson Shores. 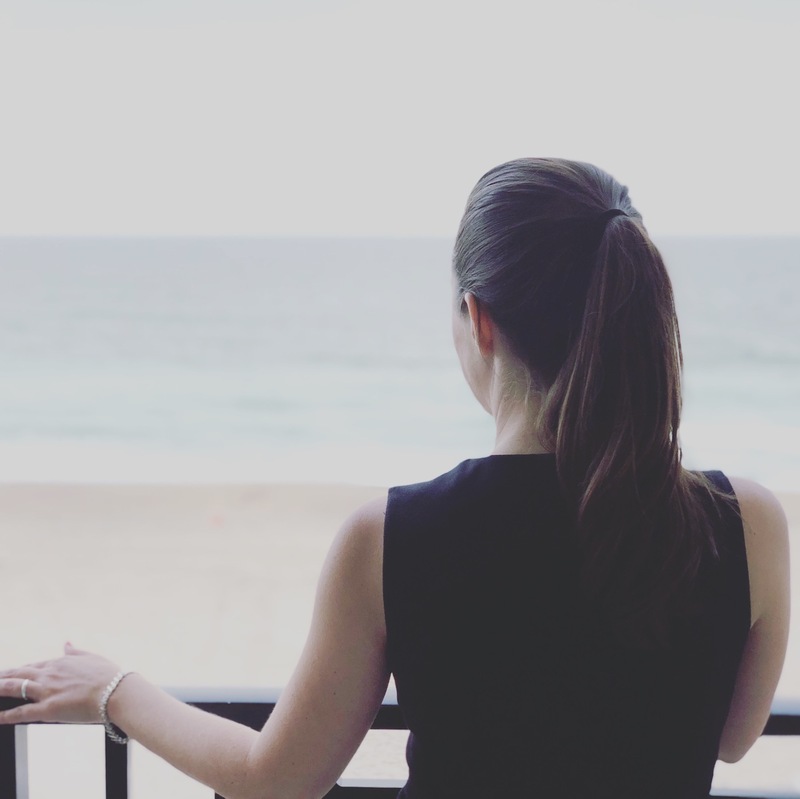 At Hutchinson Shores, you have the choice of a sunset view room, pool view room, or oceanfront view room. 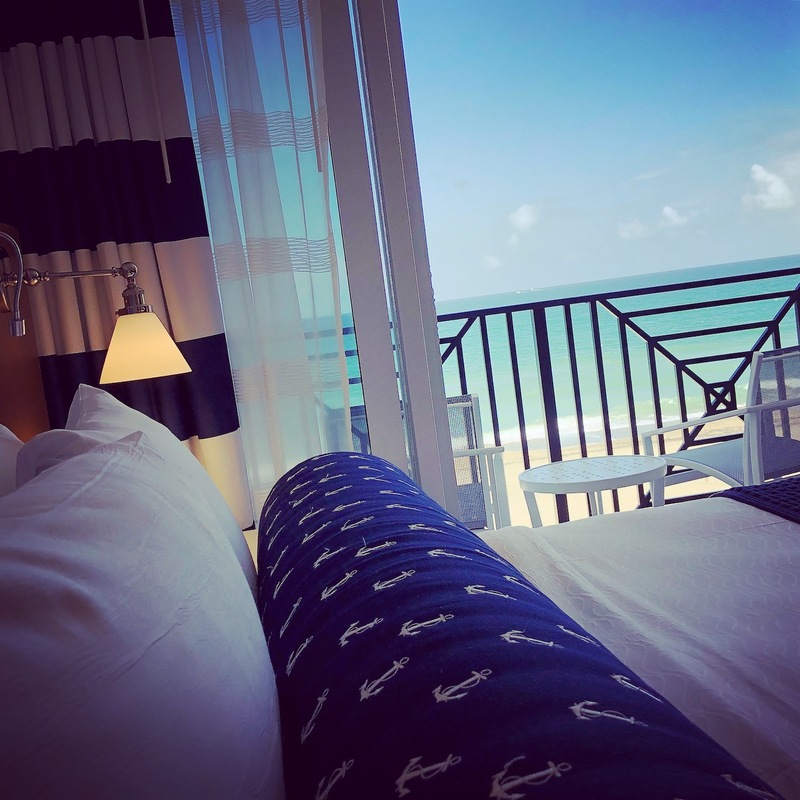 As you can see, we stayed in an oceanfront view room. Isn’t it picturesque? A photograph speaks volumes. Our room at Hutchinson was an assemblage of all that captures the eye of design enthusiasts and those who appreciate stellar looking rooms. 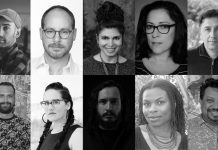 (That would be everyone then, wouldn’t it?). 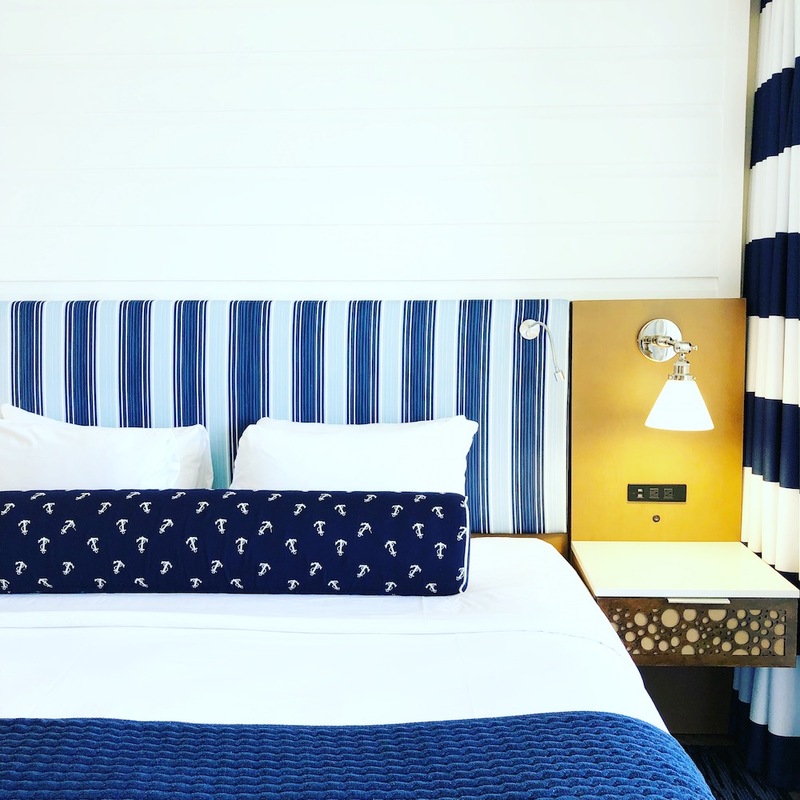 The navy and nautical highlights in both the furniture and surrounding décor, created a masterful frame for our ocean view. These rooms are absolutely fabulous. Stylishness saturates every inch of these rooms, as does the thoughtfulness of the design. 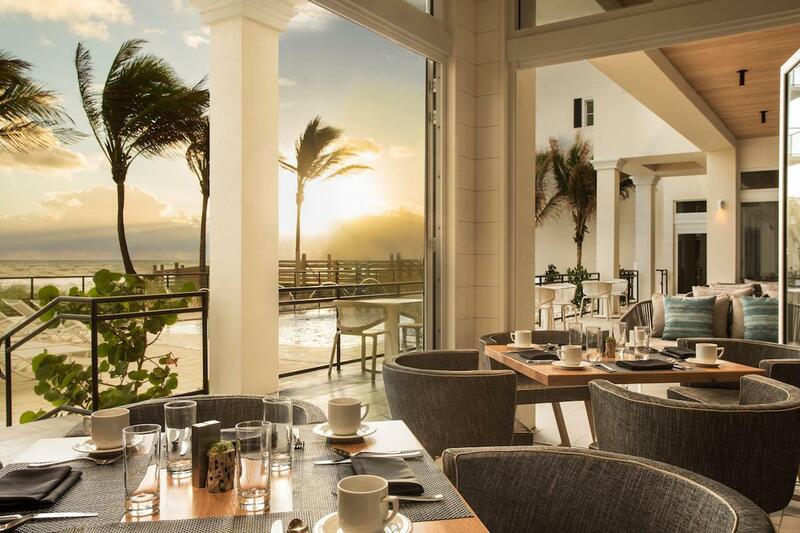 With oceanfront dining at Drift Kitchen & Bar, you can enjoy a sumptuous meal for Breakfast, Lunch, and Dinner. As you walk up to the Drift, the large base of a tree from Ireland graces the entrance of the restaurant. Salvaged from a fallen tree in Ireland, it fits well into the ‘driftwood’ motif of the restaurant. This is oceanfront dining with attention paid to detail. 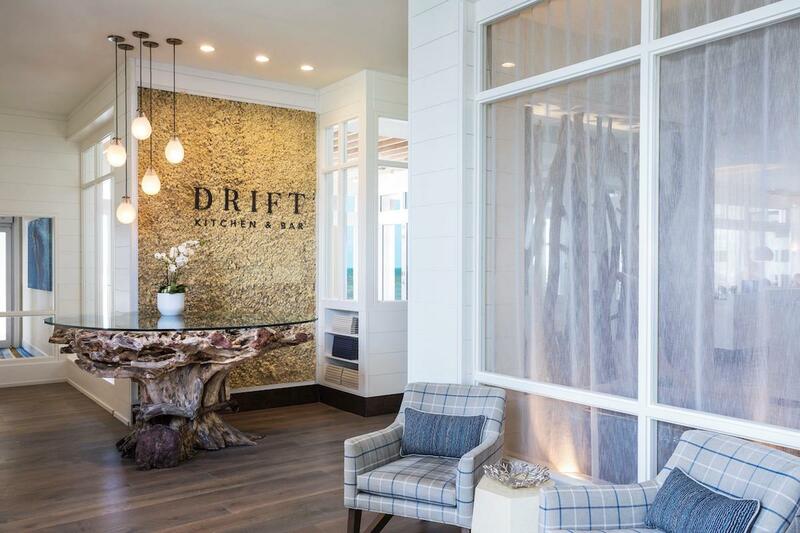 You have a choice of experiencing the Drift Lounge + Chef Bar, Ocean Veranda, and more. Click Here for more information on the dining options. As evening shrouded the land, we watched the final rays of the day glimmer on the Atlantic while we sat down at our table. Excellent views are a part of the Drift dining experience. 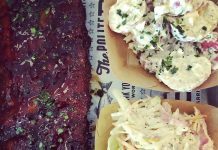 The highlights of our dining experiences at Hutchinson Shores had to be the food at Drift Kitchen & Bar. You can’t go wrong with any dish. But, if we had to pick a favorite, it would be the Rigatoni Bolognese. The Rigatoni Bolognese is hands down one unforgettable dish. The dish is made with House Recipe Butcher’s Block Meat Blend simmered with San Marzano Tomatoes, Fresh Herbs and Roasted Garlic, tossed with Rigatoni, and Pecorino Romano Cheese. You’ll probably order this more than one night in a row. The pasta is made in-house and you can tell the difference. 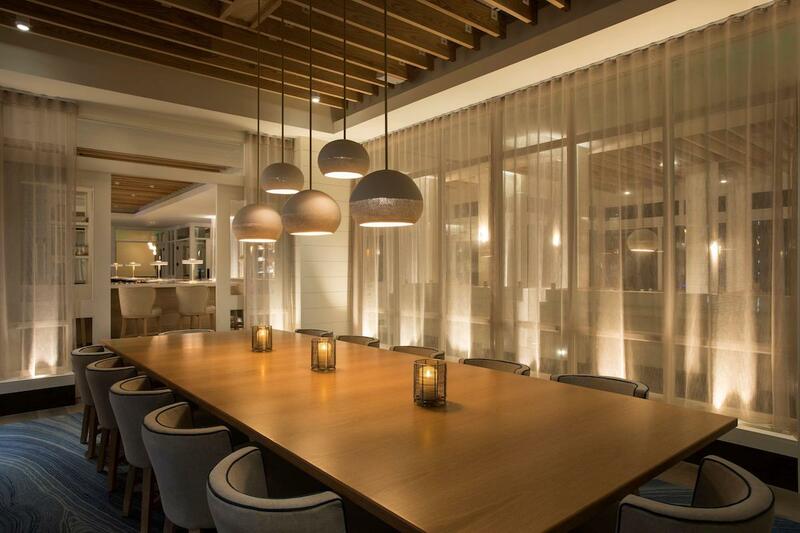 With a private dining room for special events, Drift Kitchen & Bar is fantastic setting for your next special occasion. 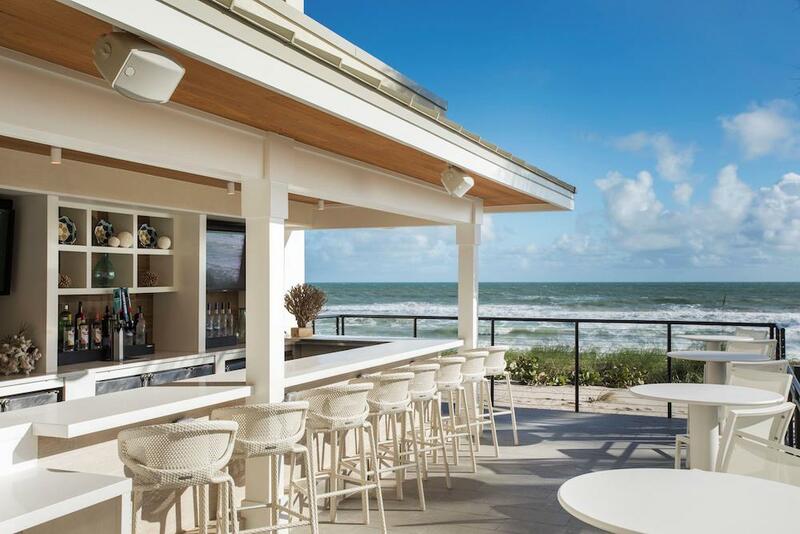 Dive into a a delicious bite or drink while enjoying beautiful views of the Atlantic at the Dune Beach Bar. Enjoy the sunset while dining and/or drinking at the Reflections Pool Deck & Bar. 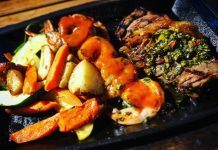 With these great dining and drink options at Hutchinson Shores, there’s no need to seek options elsewhere. 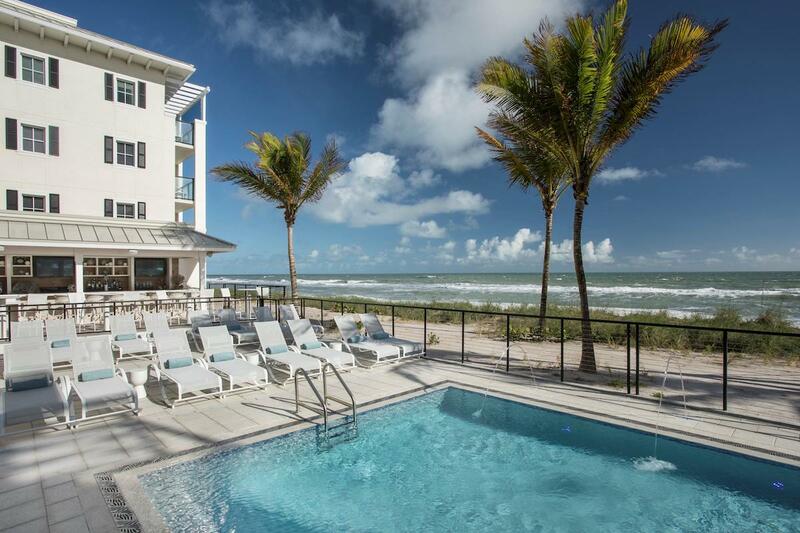 Hutchinson’s oceanfront location on pristine Jensen Beach is truly special. 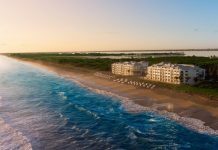 Lounge on the beach, and enjoy a cocktail or two from your beachside attendant while you enjoy Florida’s Treasure Coast. There are two heated pools and a jacuzzi for your enjoyment. The reflections pool was designed so that you always have the opportunity to catch sun. Of course, there is a pool that overlooks the Atlantic. Don’t forget that both Reflections Pool Bar and Dune Beach Bar are located near each pool. Poolside service is also available. While we lounged poolside, listening to a great soundtrack of music that fed into speakers nearby, our server Arlene was more than accommodating. We didn’t have to get up to get drinks, but it’s nice to know that you can sit bar-side if you like. Hutchinson’s fitness center is well-suited for every fitness need with free weights, balls, resistance bands, cardio equipment, and more. The resort also has yoga and special fitness classes that take place beachside. 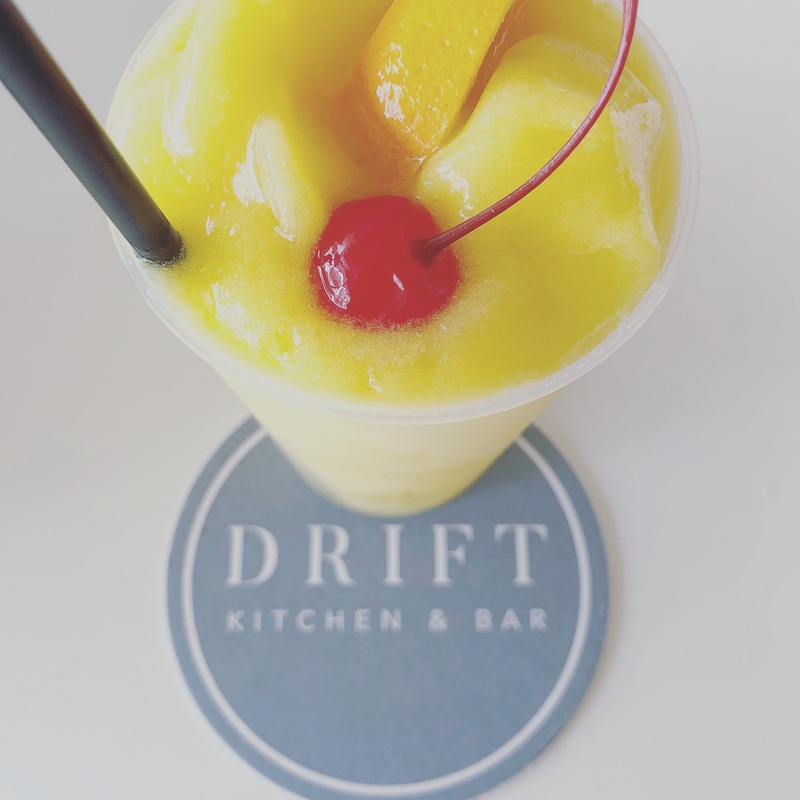 So make sure you indulge a little more at Drift and Reflections. Besides working out, why not treat yourself? Hutchinson’s full-service spa is a wonderful way to soothe your body after a work out or day spent at the beach. Whether its meetings, weddings, or another social gathering, the event space at Hutchinson Shores is exceptional. Hutchinson has 8,000 square feet of indoor and outdoor meeting space. This means that you can have a wonderful wedding and reception, business gathering, or any special occasion. We were certainly impressed with the event spaces. 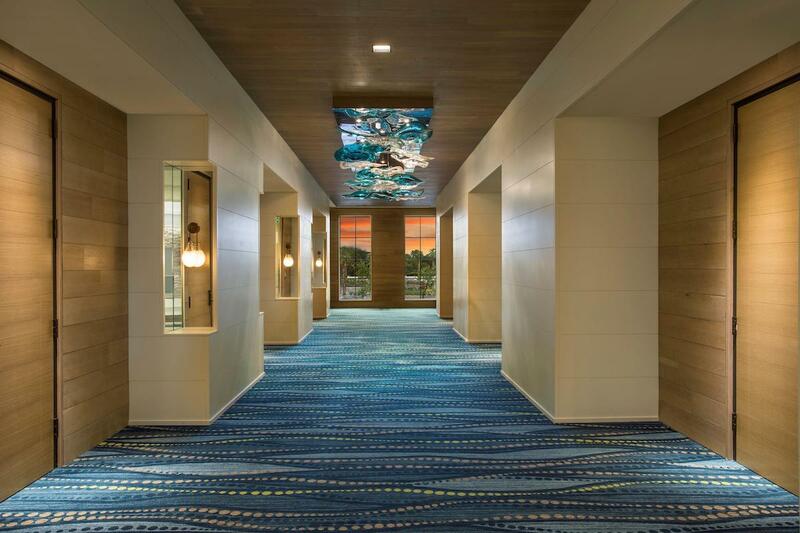 Unlike other event spaces of some resorts, these were top of the line in design and innovation. No subpar or uninspiring spaces here. Here, the events spaces were given the same attention and detail as the rest of the resort was, and this is certainly different than the norm. 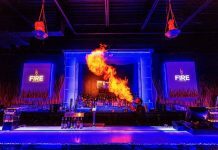 No random designs or glorified broom closets, we’re talking great space and location for your next event. We had a lovely stay at Hutchinson Shores Resort & Spa. Thank you for hosting us. 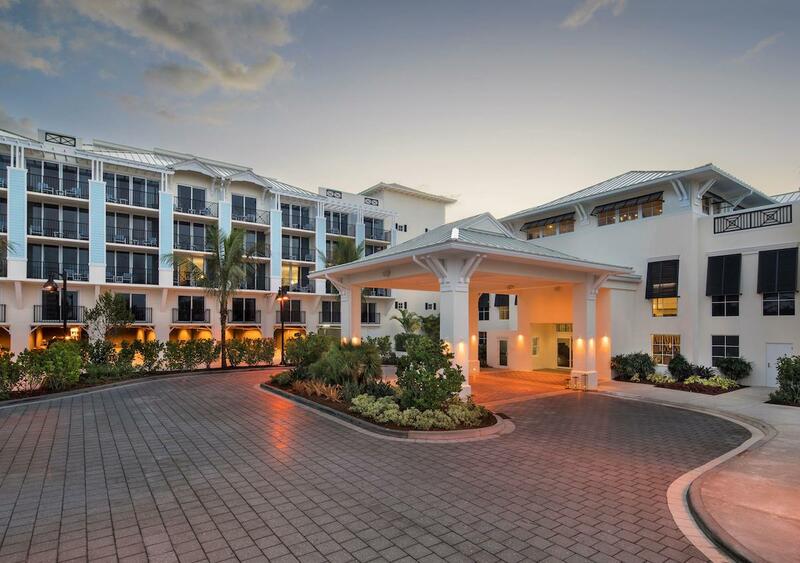 Hutchinson Shores Resort & Spa is where coastal and chic marry. To feel the ocean breeze, the warm sun, and frolick near the ocean, Hutchinson Shores Resort & Spa is where you want to be.